Volumetric Technologies prides itself on building the most reliable filling machines in the industry, with that said, occasionally something happens and a customer needs support and service. Volumetric Technologies dedicated and knowledgeable support team is there to assist to guarantee a happy customer. We are the experts in filling equipment and we have solutions for our customers filling applications. From research and development to support and service, Volumetric Technologies is committed to you. We provide prompt response to inquiries (typically within 4 business hours) to help minimize any production interruptions. We are here to assist you with your technical questions and spare parts needs. We are also available on site at your facility as needed. 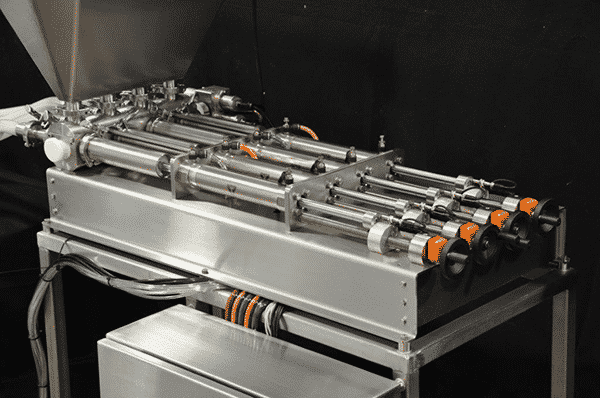 Even though our filling machines are built tough and made to last for years, we do stock many items and to ship same day to ensure your down time is significantly reduced. Please fill out the request form below for more information on our products and services.